Legal accountability is very important for the creation of legal certainty in the effort to eradicate corruption. Here is the absence of an article discussing the legal liability. The effort to eradicate corruption in Indonesia faces several conditions such as high rate of corruption, problems in different views of law related to criminal corruption in government officials in applying their office authority, especially on court decisions. These issues raise the question of how the concept of legal responsibility of government officials in Indonesia in carrying out its duties, functions and authority of their position. This research aims to find the answer by conducting legal research with conceptual approach, statute approach and case approach. The research found out that various concepts of legal responsibility are used in the handling of corruption crime in Indonesia related to the implementation of position authority from government officials and it makes the ambiguity of the interpretation of the elements of corruption offense and inconsistency in the application of law. 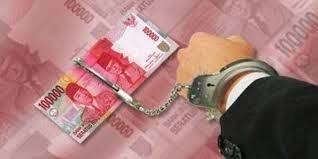 Indonesia’s criminal corruption law should have its own concept of responsibility in the effort to eradicate corruption, especially in the case of corruption whose legal subjects are government officials. Tamin, B. Y. (2018). Why Does Indonesia Need a Clarity Concept of Legal Liability of Government Officials in Corruption Eradication Efforts?. The Social Sciences, 13(3), 539-547.